Iziko Museums of South Africa (Iziko), in partnership with the HCI Foundation will host the annual in_herit FESTIVAL – a dynamic cultural programme, from the 24 until the 30 of September 2018. The week-long celebration will comprise of a series of walkabouts, guided tours, an exhibition opening, events, and Museum Night V&A. This year marks the centenary of the birth of uTata Nelson Rolihlahla Mandela, (Ah! Dalibhunga), and in keeping with this, the Iziko in_herit FESTIVAL programme is aligned to, and supports the national theme: The Year of Nelson Mandela: Advancing Transformation of South Africa’s Heritage Landscape. “Recognised across the globe as both a symbol of sacrifice and beacon of hope, Madiba’s life lessons are part of our cultural heritage – constituting a national treasure which we must conserve and share for future generations,” says Ms Rooksana Omar, Chief Executive Officer, Iziko. “0ur nation’s heritage is to be treasured. From our Rock Art, fossil remains; artworks; sculptures; objects and artefacts, to our monuments and sites – such as the Cape Floral Region; Robben Island; the Vredefort Dome and Mapungubwe (amongst others) – the magnificence, splendour, diversity and uniqueness of our artistic, cultural and natural heritage must be honoured,” she concluded. Collectively, South Africans from all walks of life are called upon to celebrate our diversity. The customs, rituals, dance, language, music and stories all form part of our heritage. It includes the practices and objects inherited from the past, that shape what we value, how we think today, and what we choose to preserve and share with future generations. Recognising that our history is part of our national identity and culture, and celebrating our diversity has profound power to help build our nation. Iziko plans to host a spectacular programme at its various museums on Heritage Day, 24 September 2018. 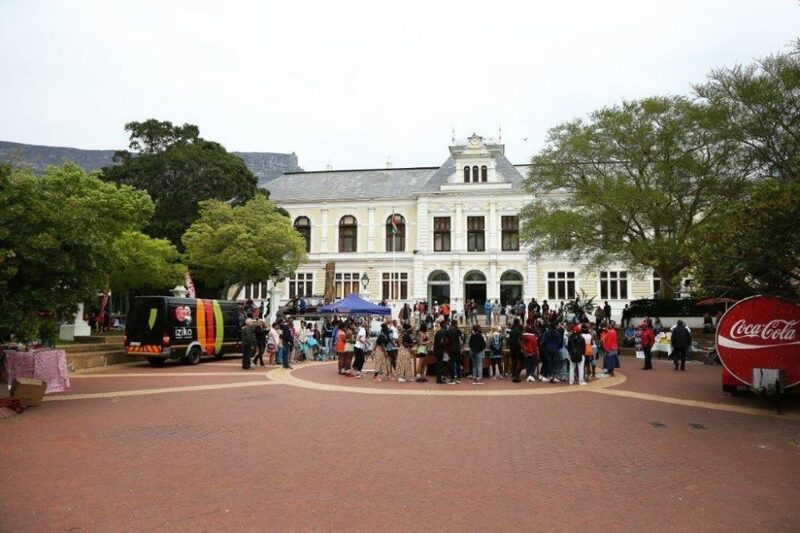 Heritage Day at Iziko is jam-packed with activities. Marine biology, micro fossils and insect displays brings “behind-the-scenes-science” to the fore. Guided tours of the Groot Constantia Manor House, Iziko Bo-Kaap Museum, Castle of Good Hope and Iziko South African Museum, provide new perspectives. A drumming session; cartoon workshop, jewellery-making, mock-fossil dig, fossil casting and painting your own masterpiece, all allow visitors to get involved. Music and dance performances by community cultural performers the Marimba Jam Trio Group, Rainbow Academy and Our Future Dance Group, showcases local talent. #BeTheLegacy and join the conversation, talk, listen and connect with Erhardt Thiel – the artist who created the iMadiba conversation station from 12:00 until 15:00. The iMadiba installation is an artistic recreation of Madiba’s Robben Island cell, and the focal point of the multi-disciplinary exhibition: “Tata Madiba: Father of our democracy, Father of our Nation, currently on show at the Iziko South African Museum. Visit the most advanced digital planetarium on the African continent for an unparalleled multi-sensory 360? cinema experience. Fly into space, soar amongst the stars and have the adventure of a lifetime. Meet The Accidental Astronauts, Sy, Annie, Armstrong and their wise-cracking starship. Observe the stars and galaxies with James and Vladimir as they embark on a mission to discover why the night is so long at the poles of the Earth. Embark on an epic Asteroid: Mission Extreme and the possibility of a cataclysmic collision. by intervening in the Slave Lodge, a symbolically laden site. The exhibition seeks to surface questions concerning how such histories continue to impact on the present. Under cover of Darkness opens to the public at the Iziko Slave Lodge on 26 September 2018. Join the Men Affirming Dignity (MAD) Project for a candid conversation about the stereotypical narrative relating to men living on the Cape Flats, and in townships, being as primarily violent and destructive. The conversation puts the spotlight on men who have navigated harsh conditions under apartheid and general life challenges, and emerged as men who retained their humanity and continue to affirm the dignity of women, their families, society and other men. Share your thoughts and experiences on 26 September at 10:00 in the TH Barry Lecture Theatre, Iziko South African Museum. Built on the principle of full disclosure and historical justice, members of the public are invited to critically engage with the history of human remains collections in museums. “Towards the Museum Truth, Repatriation and Reparations Commission”(#MuseumTRRC) hosted in the TH Barry Lecture Theatre, Iziko South African Museum, 29 September from 11:00 until 15:00. “Women in Film”, is a workshop discussion, and a selection of short films and pilot episodes will be screened. The discussion will investigate the roles, challenges and opportunities for women in film on the African continent. It takes place at the Iziko Slave Lodge on 29 September, from 12:00 until 15:00. On Heritage Day 1997, in an address on Robben Island, where Nelson Mandela was incarcerated for 27 years, the late President said: “When our museums and monuments preserve the whole of our diverse heritage, when they are inviting to the public and interact with the changes all around them, then they will strengthen our attachment to human rights, mutual respect and democracy, and help prevent these ever again being violated”. The museums that make up Iziko are spaces for cultural interaction, creating connections between our shared history, our heritage, and each other. As a people, we have a responsibility to discover these spaces, to explore these narratives, and to proudly promote and share opportunities to access our museums and histories. The in_herit FESTIVAL is one of Iziko’s most important programmes, signifying the museum’s mission of conserving and keeping heritage alive for a wide audience. *Free entrance to selected Iziko museums offers visitors the opportunity to encounter and explore the museums and exhibitions, offering insight and access to our diverse and dynamic cultural, natural and artistic heritage. *The Castle of Good Hope and Groot Constantia are free only on Heritage Day. The Iziko Planetarium and Digital Dome is half-price on Heritage Day.